This text is an accessible analysis of critical pedagogy that articulates multiple ways of applying its principles in various contexts. 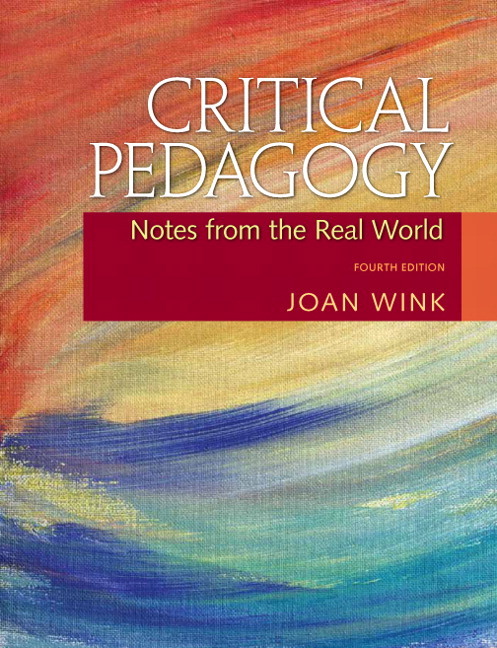 Critical Pedagogy, Fourth Edition, offers thoughtful examination of the theoretical models of critical pedagogy in an engaging, understandable writing style. In this edition, the author maintains the strengths of a clear, engaging writing style with first-person narrative and lucid explanations of key concepts, which makes critical pedagogy more meaningful for students to learn and instructors to teach. This powerful and accessible analysis of the often difficult rhetoric of critical pedagogy argues that critical pedagogy opens the door to a broader and deeper perspective on teaching and learning in the classroom and the community. The text strongly encourages teachers to continuously adapt teaching beliefs and strategies to meet the needs of today's classrooms. The ongoing cultural critique, which links the chapters, challenges readers to think more deeply. Provides a myriad of classroom vignettes derived from the author's teaching experiences that link theory to practice. Preface and Introduction explain the fundamental concept of critical pedagogy and include answers to typical questions and issues raised by the reader. The graphic of transmission, generative, and transformative pedagogy begins the book, setting the tone for the entire text and providing a holistic perspective. Chapter 2 includes definitions and cognitive connections in discussing the theories of Vygotsky and the real classroom applications of his theories. Chapter 1 includes the story of Jonathan and shares new experiences related to critical pedagogy. Includes an expanded bibliography, encouraging students to further explore the research in the area of critical pedagogy. Shows the impact on learning of racism, discrimination, teacher expectations, ethnicity, language and learning through the lens of critical pedagogy. NEW! Condensed chapters–from 8 to 5– with greater attention to an expanded view of identity, new scholars, and emerging ideas, encourages readers to reflect deeply as they read. NEW! An expanded view of identity, including sexual orientation, queer theories, ableism, revolutionary theories, and imperialism, provides a broader, deeper perspective, more inclusive of all groups fighting for social justice (Chapter 2). NEW! The final chapter provides an action plan for how readers can move into advocacy and activism (Chapter 5). NEW! Highlights new and emerging critical theorists who are making contributions in the field of critical pedagogy, as well as past theorists, connecting with all generations of teachers (Chapter 3). NEW! Includes a comprehensive chart of the similarities/differences among Gen X, Gen Y, and Boomers, so readers of all ages can connect to their historic worldview, including pre-service students (Chapter 5). 1 Why in The World Does Critical Pedagogy Matter? Critical Pedagogy: What in the World Do I Think It Is? 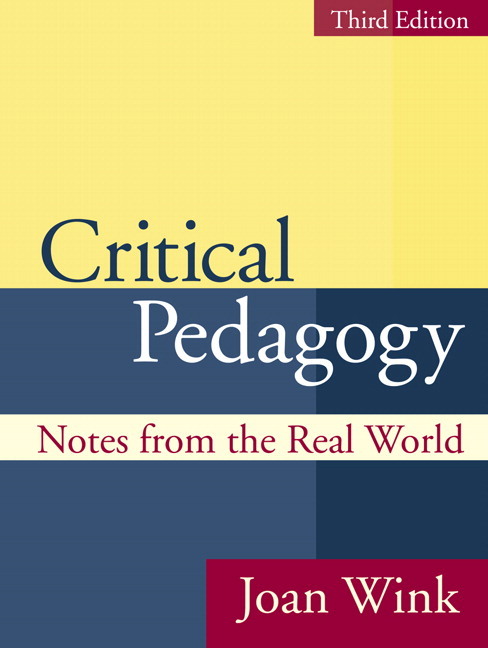 2 What in The World Is Critical Pedagogy? 3 Where in The World Did Critical Pedagogy Come From? 4 How in The World Do You Do Critical Pedagogy? Joan Wink is a professor emerita at California State University, Stanislaus. She lives primarily on the family ranch in South Dakota, but still maintains an active academic life: teaching, consulting, and writing. Her other books include A Vision of Vygotsky (2002), co-authored with Le Putney of UNLV, and Teaching Passionately: What’s Love Got To Do With It? (2004), co-authored with her daughter, Dawn Wink of Santa Fe Community College.